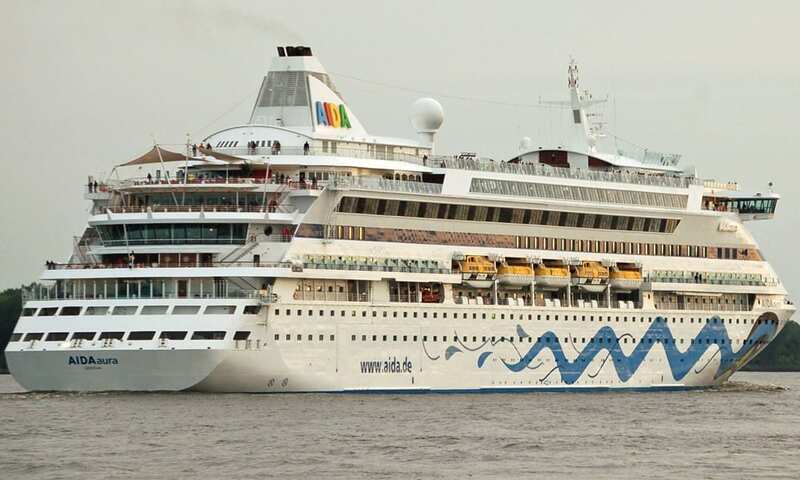 The MS AIDAaura will visit Killybegs on Sat 01/06/2019 at 14:00hrs and depart on Sunday 02/06/2019 at 17:00hrs with 1300 passengers and 418 crew. This will be the first Overnighter for Cruise Ships in Killybegs. The MS AIDAaura belongs to the first AIDA series and the construction is identical with the one of AIDAvita. It was put into service in 2003 and modernised in 2013. In addition to numerous entertainment options, such as a theater with varied shows, guests can enjoy sporting highlights, such as a volleyball court. For relaxation there are different saunas which are free of cost and massages can be booked for an extra fee. AIDAaura offers something for everyone. With a length of approx. 203 metres the ship can accommodate up to 1,582 passengers.